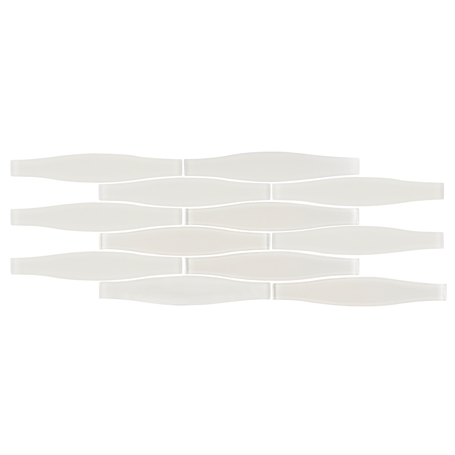 Liquid Warm White 7.7" x 17.75"
Liquid is a rich blend of honed and polished glass surfaces that emphasize the curving nature of the individual mosaic pieces. The beauty of Liquid is its organic rhythmic pattern that creates a rich undulating effect promoting a unique design element for any space. Liquid features 5 different colors, Cappuccino, Mocha, Latte, Warm White and Ice White in a 7.7 x 22 sheet.  Suitable for indoor, commercial and residential wall applications. Shown here in Warm White.